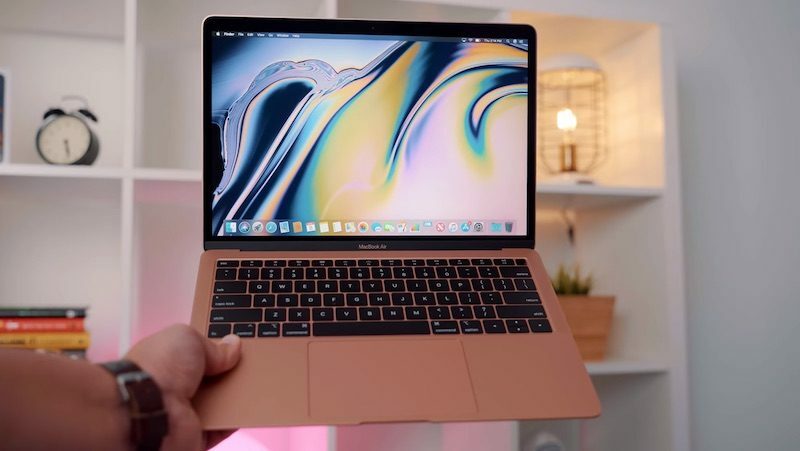 Prior to macOS 10.14.4, Laptop Mag found that its 2018 MacBook Air review unit maxed out at a brightness of 234 nits, while NotebookCheck determined an average value of 315 nits. It's unclear why there is such a big discrepancy there, but it'll be interesting to see how much the number increases in subsequent testing. Battery life stats for the 2018 MacBook Air remain unchanged on Apple's tech specs page. Not going to be satisfied until the screen can vaporize debris trapped under the keys. So they can actually tweak that via software. Great! I'll buy the MBA once they include 2 additional CPU cores in a future MacOS update. Seems like everybody out there wants two things: brighter displays, and dark mode. Apple overclocked its own display! Stopped innovating my a$$! Put an OLED and a decent keyboard in it, even if the laptop is now .5MM thicker. Anyone who buys a current generation butterfly keyboard will come to regret it. I like the updated keyboard, but I don't eat cookies while typing. Oh and suddenly it’s possible for Apple to deliver better “hardware”. You’re WILDLY overestimating consumer purchasing decisions if you honestly think an average person has any idea what a nit is. Brightness still doesn’t help lack of color. I mean really, how much more would it cost to give it a P3 gamut? I won't buy an Apple product that includes a display without it (except for the Watch, but who cares about color gamut on an Apple Watch). I like cookies, but don't throw them on garbage keyboards.